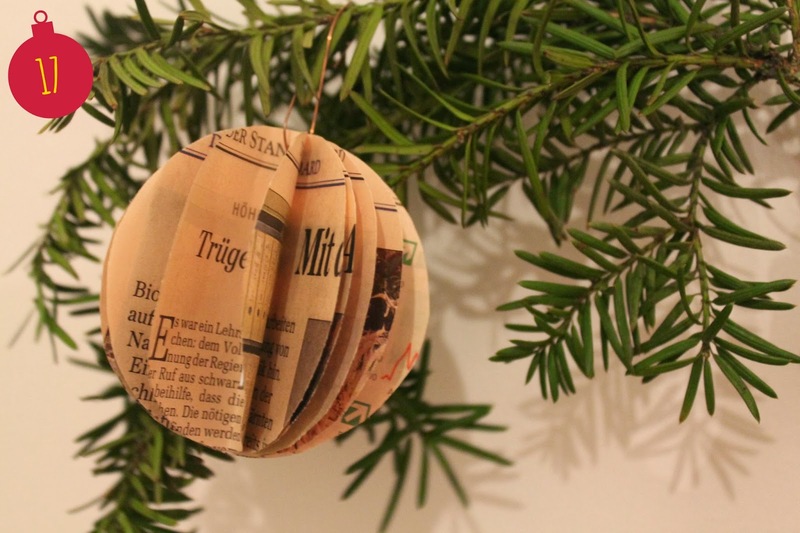 Number 17 of this Advent calender will show you a DIY-idea for your Christmas tree: Christmas Tree Balls out of old newspapers. Put 8 to 10 newspaper pages over each other. Use your glasses/cups as stencils and draw different sized circles onto the newspaper paper. Cut out the circles and staple them them together in the middle of the circles. Fan out the different layers of the circle until it looks like a Christmas ball. Afterwards you can put little hooks into your Christmas tree balls and hang them on your tree. If you want a little variation you can also cut out small Christmas trees. This I did last year and it also worked out really well. PS: I also shared this project on Kyla's link party at House of Hipsters. Oh my gosh! They are so cute and very antique/vintage looking they would fit in with my decor perfectly! Thank you for linking-up with us at the Oh My Heartsie Girls Wordless Wednesday Link Party. We hope you will join us again next week as well. Dear Lysa! Thank you very much for the compliment! I'm definitely planning on coming back next week! :) Have a great day! I was not sure if my comment posted. I love the ornaments! Thanks for sharing on The Oh My Heartsie Girls WW this week!! !